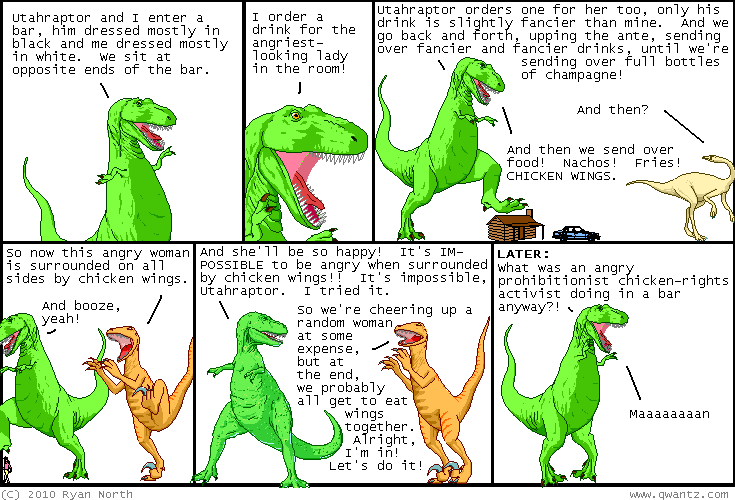 Dinosaur Comics - January 11th, 2010 - awesome fun times! –It was an opportunity for me to showcase my sparkling wit! One year ago today: spellcheck wants to tell me that "fussin'" and "a-feudin'" aren't words. this is why spellcheck and i can't get married. there are other reasons.